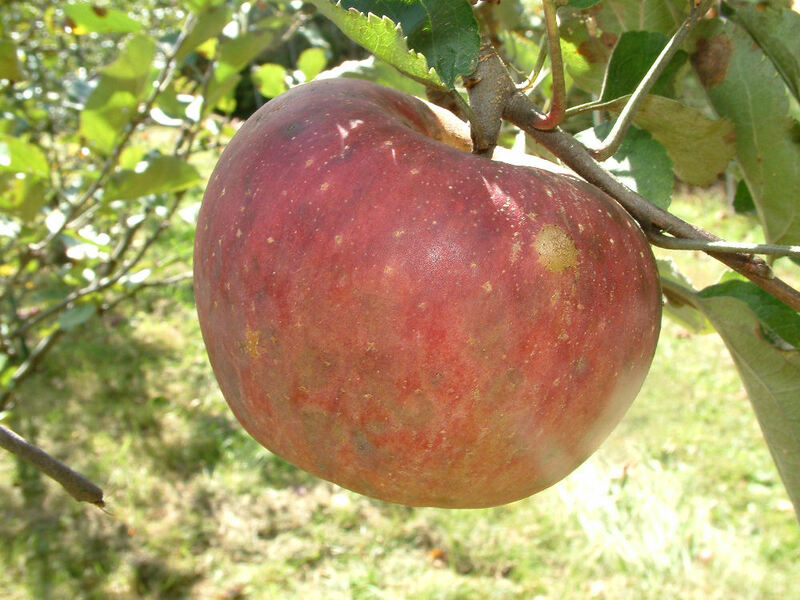 Stayman is a progeny of Winesap and like its well known and historic parent, is an apple of the highest quality. The apple arose in 1866 when Dr. J. Stayman planted seeds of Winesap on his farm in Leavenworth, Kansas. Like Winesap, it has sterile pollen and cannot pollinate other apple trees. Fruit is medium to large with smooth greenish-yellow skin mostly covered with stripes and splashes of red and crimson. The tangy whitish-yellow flesh is firm, crisp, and juicy. Ripens in October.